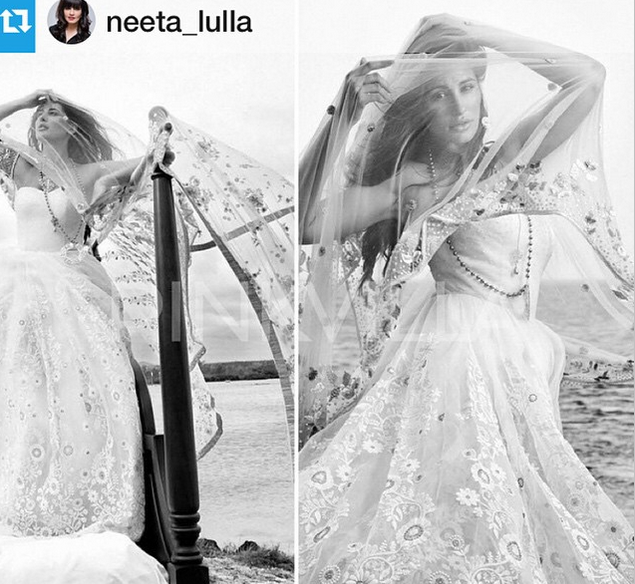 Nargis Fakhri is in Neeta Lulla gown. The whole look is ethereal and delicate, and we are spell bound. A minor gripe- the long chain is an unnecessary accessory which is distracting the whole clean look. It should have been avoided.